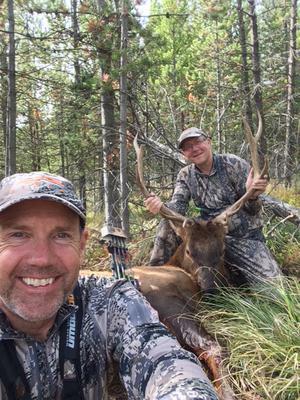 How did your elk hunt go in 2015? Any success, or "close encounters of the herd kind"? Tell how it went for your season. If you have pictures, please click here, or with no pictures you can add your story as a "comment" below. 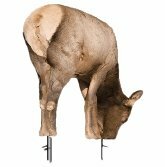 In October I mis-ranged a herd bull with my range finder and shot over his back! I accidentally ranged a farther tree. I learned to not trust only one range check. Try to aim at the base of a tree, rather than the skinny trunk. 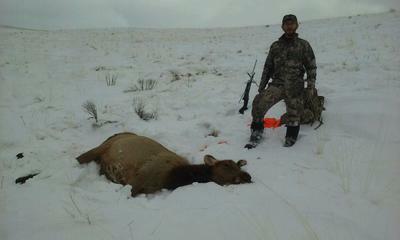 I ended up filling a cow elk tag in October and another one on a damage hunt draw January 25th! Freezer is full. Successful elk hunting starts with close encounters. We want to hear about yours. 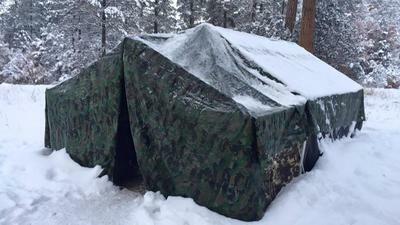 What happened on your elk hunts? Those "close encounters", without kills, provide a wealth of learning experience. Please share it. Is there anything you would have done differently? If you kill one tell the whole, detailed story, or just tell us what you harvested and whether it was rifle or archery. Don't forget the pictures! Any elk kill is a success story. So are close encounters in my mind. Just being in Elk country is a thrill. 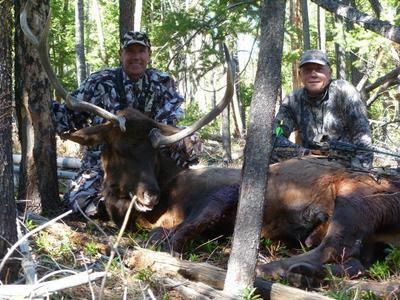 There are many areas that are encouraging the hunting of cow elk because of large herd numbers. 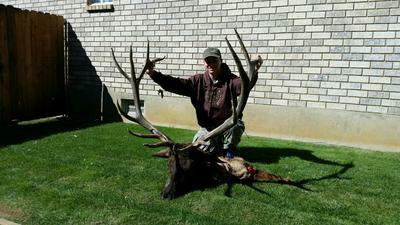 Tell us about antlerless elk success, as well. What did you do right that lead to your hunting success? What did you learn and what could you have done better? Click on Add Comments below to tell your story. Add your photos! 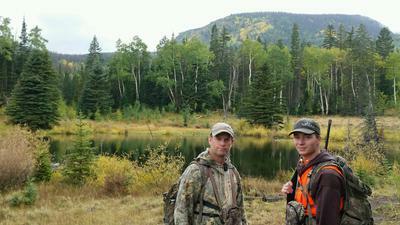 I am fortunate to have a life long hunting partner. We typically put the smack-down on one or two elk per year. Last year we got two with the bow. A cow and a small bull. It took us 14 days, 124 miles of walking and 1984 floors of climbing per the fit bit. We are lucky to hunt in MT where we put our primary efforts into bow hunting but go out with a rifle in the event we did not fill our tags with bow and arrow. We have been hunting together for 30 years and we have seen many scenarios two plus times before. Experience is awesome. Good luck in 2016 everyone! Comments for 2014 and 2015 bulls. 2015, Great Year In Utah For My Kids! In 2015 my son got lucky and drew out a great Utah Limited Entry Elk Tag with 4 points. The unit takes 14 to draw. We will take the luck. With some limited time due to his college schedule, we were able to help him harvest his first bull elk, a 320 inch 7X6 with a nice kicker off the right royal. It was a great hunt and I hope my daughter can get just as lucky in the coming years. 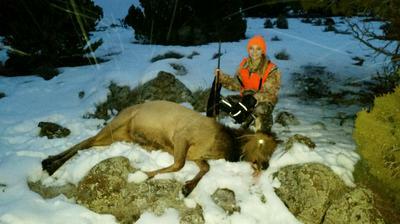 My daughter also got lucky and drew out for a good Utah cow elk hunt. We waited until the end of the hunt. I located some elk, called her and told her it would be a hike. We would have to earn it! We made the stalk and she took the cow with 1 shot at 410 yards dialing in 2 minutes on our 270 Winchester with Nosler LR Accubonds. Double lung and lights out. We donated the meat to a family that loves elk but do not have the physical means to hunt elk. Don't miss out on the opportunities Utah offers. Build the points in Utah because you never know when you might get lucky! It has taken 5 years of trying, learning the area, scouting , trail cam surveillance plus learning how to hunt something smarter than me but we finally succeeded. Here in British Colunbia we have a rifle season from Sept 10th to Oct. 20th so lots of chances to get out but thick timber with very little alpine or open areas to hunt so not easy to find the blighters. After scouting hard for a few days we found where the cows were feeding in a logging clear cut & as you guys are aware at this time of year where the cows are the bulls won't be far away. Three days in a row we got onto elk but either saw bulls that were too small or had to back out of area due to unfavorable conditions of one thing or another. On the afternoon of Sept 16th the stars & planets aligned & my partner spotted a 6 point we hunked & crawled the last 40 yds or so to a good spot for a shot & at 293 yds after what seemed like an eternity he finally moved out from behind a couple of large trees. My partner who spotted the bull fired his 270 wsm 140gr & a split second later I followed up with a 130 gr Hornady superformance GMX in 270. Both bullets complete pass through lung shots. YeeHa. 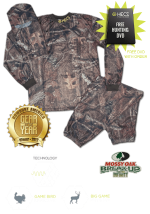 I would like to thank my hunting partner for the great company & this website for the wealth of information that I have gleaned & also the gear bought as every bit of info etc. is required to harvest one of these regal animals. I once read it is the journey that matters & nothng could be more true when it comes to elk hunting. Thanks for your time.